Misty is now living in permanent foster care with a volunteer with the Thulani Program. She resides with her mate ZIggy and will be with him until the end of their days. 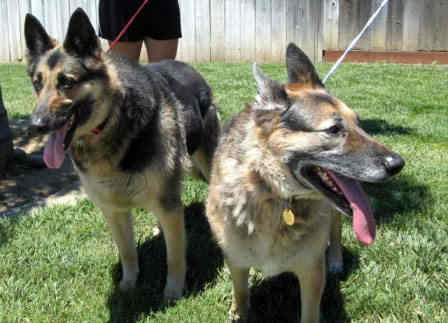 Misty V. is a 12 year old female German Shepherd who was surrendered by her owners along with her companion Ziggy V. when their people could not afford to take care of them any more. She is very people social with adults and children, she allows bathing, petting, walking, etc. 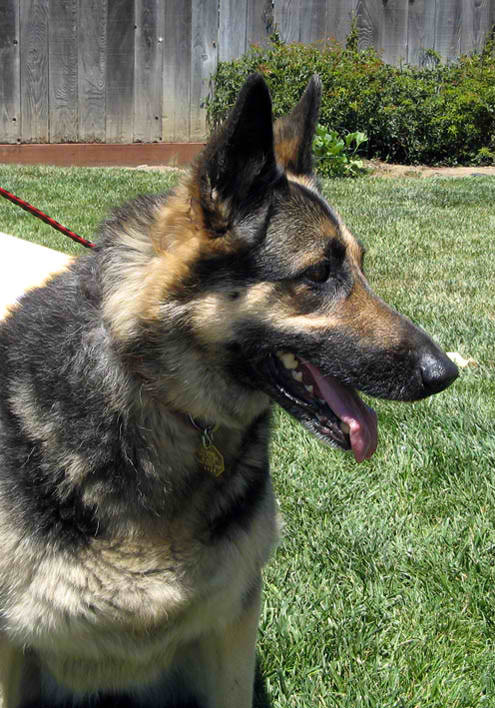 She is quite active and gets along well with others dogs. When there is a group of dogs (big and small) running about in the yard she will try and keep up and causes no problems. She will alarm bark at strangers and noises.